hello friends...it's been a while. things have been hectic around here as our office is relocating, but i wanted to drop in and say, I MISS YOU ALL! how have you been...what's new? tell me in the comments! a while back, kim, at a very sweet blog, introduced us to periscope. the app lets you broadcast live from your phone to the world enabling others to 'see the world through your eyes'. on saturday, november 7th, i will be part of Scope Day, the brain child of Mike Lin. it is a collaboration of 62 broadcasters (including 12 musicians) around the globe who will be showing you attractions and landmarks from their cities in a pass-the-cast format. the event kicks off at 5:15 am PST in cairo, egypt and ends 16 hours later in new york. each broadcaster gets 15 minutes before passing their viewers on to the next broadcaster waiting in the wings. i will be broadcasting live from hawaii at 3:45pm local time (5:45pm PST). find me on periscope at oomph. you can watch us live and interact via the periscope app. watch live on your computer via twitter links (#scopeday). 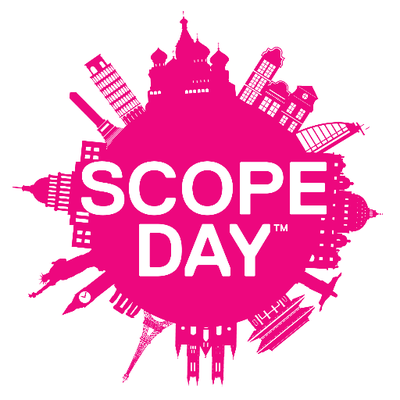 follow Scope Day on periscope at @ScopeDay to get notifications of each live broadcast. the scope day account follows all of the featured broadcasters. check out Scope Day on twitter | facebook | instagram for more information and to see the schedule of all the broadcasters and their locations. the 12 musicians will be covering taylor swift songs in hopes of convincing her to broadcast live for the very first time on periscope (we have saved her a time slot). ever wanted to see the pyramids in egypt? the french alps in france? the tallest building in hong kong? and more and more from africa, ireland, japan to name a few? best of all? this trip is free. I'm so happy for you Becks! I hope everything went well :D You're a Periscope diva! So consumed with home remodeling. I haven't been on it. welcome back! is this like snapchat?? how exciting! Let me know if you do and want me to follow back! you;ve been missed! i hadn't heard of scope day, but i hope it went well! i have PS but never use it! I've been missing your blog. I haven't tried out periscope. I hope that Scope Day went well for you. This is interesting :) I don't have an idea what is this. Thanks for sharing! Ooh never heard of it, sounds fun! Tree Classics Christmas Wreath GIVEAWAY.